Marty Hernandez was born and raised in Southern California. In 2007, he joined the U.S. Marine Corps as a Field Radio Operator and deployed twice to the Persian Gulf aboard the U.S.S. Boxer. In 2011, he began his academic career in community college majoring in Psychology. He transferred into the Air Force Reserves in 2012 as a Structural Assistant and in 2014 he graduated from community college. He transferred to the University of California, Los Angeles (UCLA), majoring in Psychology with a minor in Civic Engagement. Marty Hernandez has worked with multiple Veteran Resource Centers in colleges throughout Los Angeles. In 2017, Marty was accepted to Columbia University in the City of New York, studying Higher and Post Secondary Education in the renowned Teachers College. 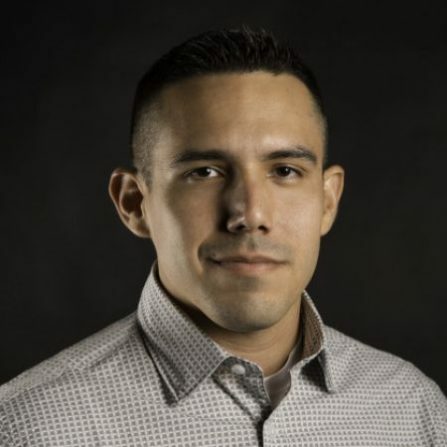 Marty Hernandez hopes to continue his education, work in higher education, in policy and continue to advocate for military-connected student services throughout the county.